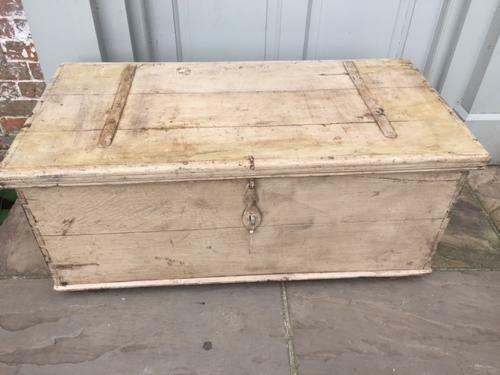 Very fine 19th Cent Colonial Travelling trunk in lovely original off drab white paint. Good original condition with original fittings and inner candle box complete. Would make excellent coffee table in front of sofa, TV stand or at end of bed to store blankets etc. Excellent interior colour.